If you've been keeping an eye on our Twitter and Facebook, you'll know that we promised to come up with some video coverage of COMPUTEX. But how could we do that if none of the Futurelooks Team are in Taipei? Well, because companies that we cover year round think our readers are so fantastic, they put themselves in front of the camera using their smartphones, palmcorders and really, whatever they could get their hands on, and sent us a bunch of great clips to work with. As a result, we've been able to assemble some pretty decent looking coverage just for you. 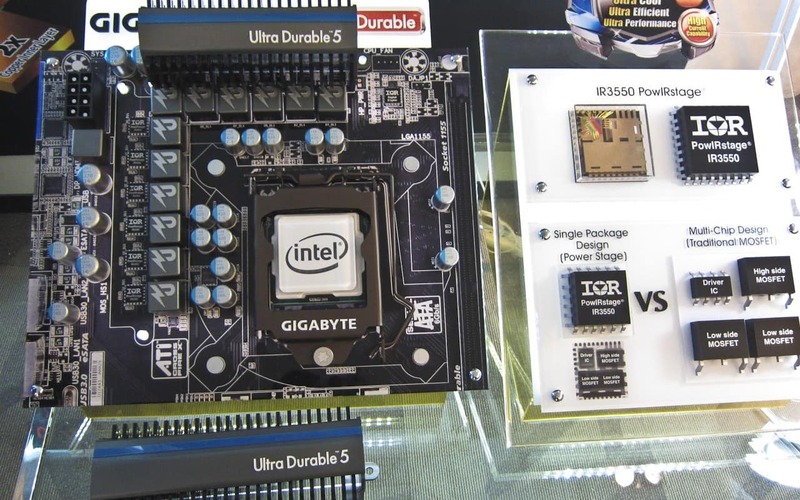 So hats off to GIGABYTE, BitFenix and CORSAIR because here's what they were showing off at COMPUTEX Taipei 2012! You can also watch the video on YouTube. With the initial round of Ivy Bridge boards out the door, it's time for companies to start thinking about how to really customize and tune their boards. 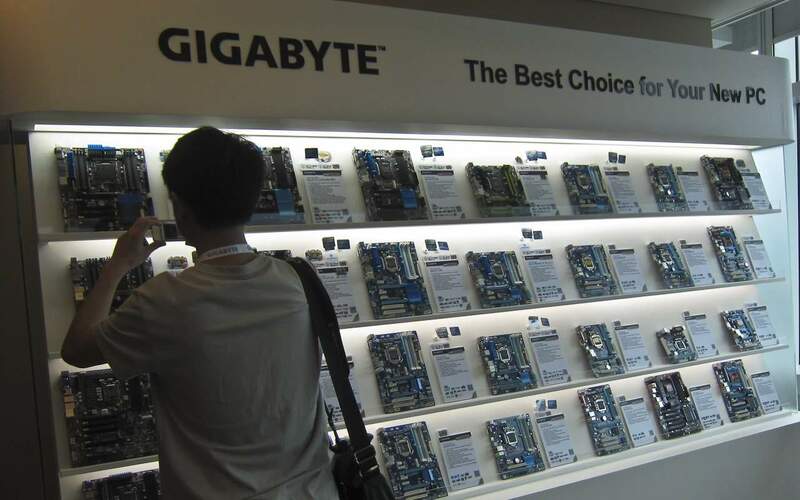 GIGABYTE has worked on a number of things that will make their next round of X79 and Z77 boards appeal to more people. For starters, GIGABYTE launched their new Ultra Durable 5 technology which now features much higher current handling components. While you can now use more juice in your overclocks, the nice thing about the components is that it won't get any hotter. In fact, thanks to their new IR3550 PowIRStages, which replace the Driver IC, Highside MOSFET, and Lowside MOSFETs, everything is now integrated into one much more power efficient and cooler package. We'll have to see how that tests in the lab. Their X79 boards will get a new addition to the family with their very first workstation board called the X79S-UP5 WiFi. It features an INTEL server chipset that allows the board to support up to 8 SAS drives and gives the board support for XEON processors up to 150TDP. We didn't see a dual socket version, but I'm sure it's in the works. The board also features dual Thunderbolt ports which gives you up to 20 Gbps of bandwidth to hook up those yet to arrive peripherals. Z77 also receives upgrades to Ultra Durable 5 technology and Thunderbolt in select models. On the AMD side, their new Trinity boards are ready to roll and the top end one called the GA-F2A85X-UP4 gets the Ultra Durable 5 treatment as well. Although it does support Dual Graphics, I'm not sure if that will mean that it'll get SLI and CrossFire support like the MSI versions. Pricing and availability were not available, but expect to see these boards rollout between the July/August time frame. 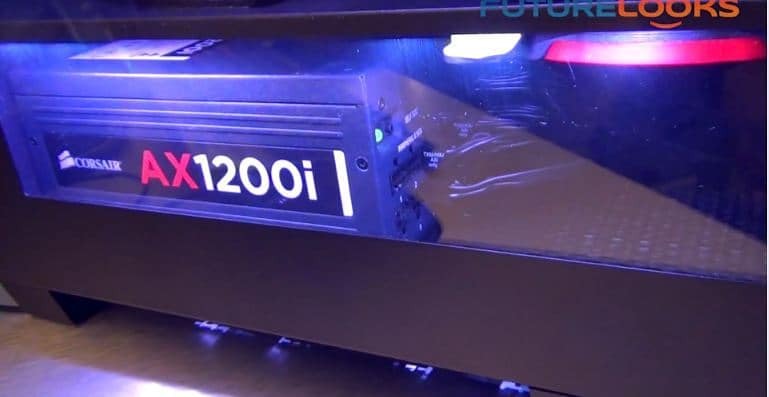 A couple weeks ago, BitFenix let loose on their new Prodigy mini-ITX chassis. This cool looking case is definitely one case I'd like to get my hands on for LAN party action. 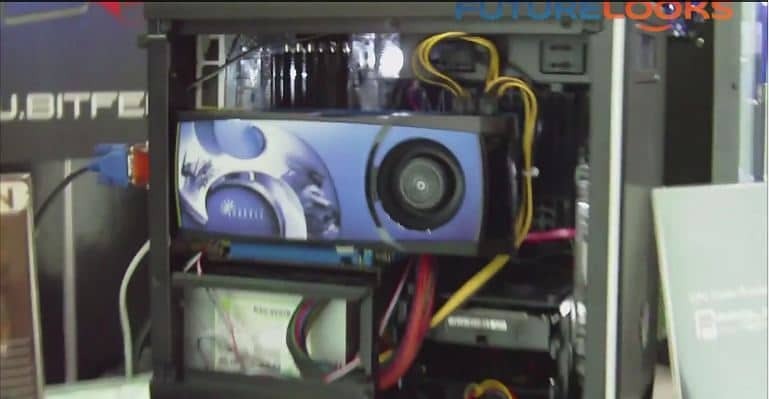 It fits the board flat, right above the PSU, which allows you to park the largest possible GPUs inside. The orientation of the board also allows huge coolers like the MEGAHALEM that David is showing off in the video. Also on display is the finished version of the RECON fan controller that we covered last year at COMPUTEX 2011 and a new silent gaming chassis called the Ghost. I was surprised that CORSAIR didn't show off any new cases this year. Instead, it looks like they are going back to basics with things that they are very well known for doing a great job on. The new AX1200i provides some really great control of the 1200Watts of 80PLUS Platinum power inside. It links up with their CORSAIR Link software and really gives some major customization that has never existed in a PSU before. The new digital design also allows very precise power output. It definitely looks like a winner at $349 US and should be available by the end of August. Also shown off was their new Neutron and Neutron GTX SSDs that use "Toggle" NAND that allows for over 90K IOPS both read and write, which means it's really quick at handling the things that give SSDs their edge in performance. The Neutron will be available in 120GB and 240GB capacities while the higher performance GTX will come in 120GB, 240GB, and 480GB sizes. Both will be available around the end of July and in terms of pricing, will take over as the top end of their line up so expect pricing similar to their Force GT series. Finally, their Dominator series of memory gets some love with faster speeds and a new replaceable light bar that you can switch to match the color of your system. 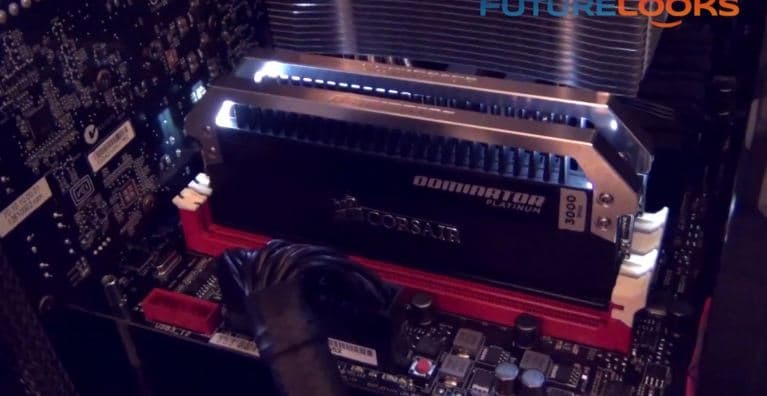 You'll get speeds from 1600MHz to 2800MHz DDR3 and should be available in late June. Stay tuned for our next segment where we'll be touching base with Rosewill, ANTEC and BeQuiet!. In the meantime,enjoy the photo gallery below and discuss away!